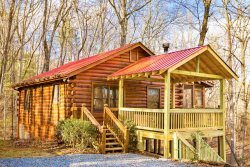 Georgia Mountain Cabin Rentals has a variety of fully equipped, privately owned, quality North Georgia cabins by babbling mountain streams, next to the rushing waters of the Toccoa River, and lakefront. Settle into your mountain escape nestled in the woods and connect with the elements while enjoying all the Blue Ridge Mountains have to offer. Look no further than our cabins in Blue Ridge where you can relax and rest assured that you are staying in a well taken care of cabin for your vacation. The mountains are closer than you think, take the time to come, and enjoy the beauty of Blue Ridge, book online today!